Samsung has finally unveiled the Galaxy Note 3 Neo, after what seemed like months of leaks and speculation. From the beginning, the Note 3 Neo was going to be just like the original Note 3, except by cutting a few high-spec corners, Samsung could meet a price point that was more suitable for developing markets and other buyers who want the S-Pen experience for a cheaper price. So, how many corners did Samsung cut exactly to meet a lower price? Let us find out. The Note 3 Neo comes in two different models, one that is limited to “3G” (HSPA+ 21 Mbps) and another that has LTE connectivity, capable of hooking up to a Category 4 network. The 3G-only model comes with an unnamed quad-core processor clocked at 1.6GHz, while the LTE model rocks a hexa-core processor consisting of two 1.7GHz Cortex-A15 cores and four 1.3GHz Cortex-A7 cores. That sounds pretty impressive for a device that is supposed to be pretty cheap. The display and camera are the main areas that Samsung pulled back on, as both Neo models feature just a 5.5″ 720p display, with an 8MP rear-facing camera. As reference, the OG Note 3 from last year sports a 1080p display and a 13MP sensor that takes great snapshots. The Neo devices also feature just 2GB of RAM, a 3,100mAh battery, IR blasters, NFC, Bluetooth, 16GB of internal memory, and a microSD slot. Samsung’s main goal was to get a cheaper device onto the market that has an S-Pen and all of the proprietary software that comes with it; Multi-window, Air Command, S Note, and the list goes on and on. Unfortunately for any Americans looking to pick one up, Samsung doesn’t appear to have any plans on launching this device on American carriers. 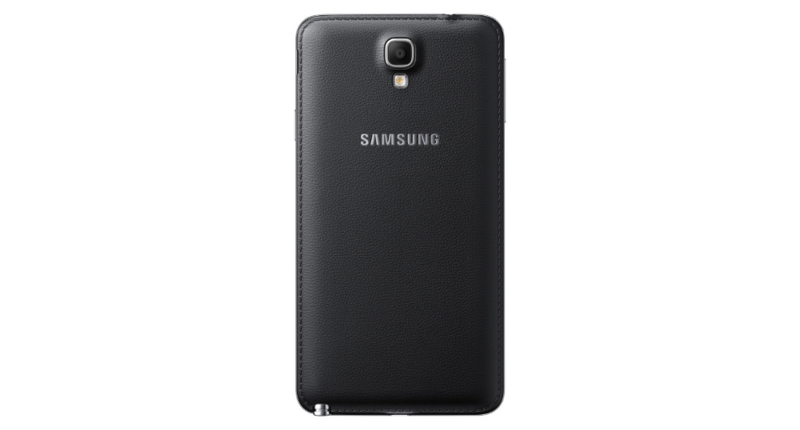 They would much rather you pick up the usual Galaxy Note 3 that is already available on all carriers.